We are a family owned and operated engine rebuilding facility that has been in business for over fifteen years. We have state of the art machinery equipment and belong to the American Engine Rebuilders Association. We are a first generation business with working owners on the premises. We pride ourselves on our Quality, our perfectionist attitude, our attention to detail, our Honesty and our dedication to taking care of our customers before and after the sale. We emphasize on producing the highest Quality products EVERY TIME. Our credentials and credibility are unsurpassed. The Quality, dependability and accuracy of our engines are derived from the vast experience gained from the production of over 2,500 engines since 1990. Successful involvement teaches the importance of attention to detail, organization, cleanliness, and a host of other priceless lessons. We are very fortunate to have acquired this experience because many businesses have failed in this industry because of the lack of Quality and dependability, not to mention not being able to produce their products in a timely manner. We have great prices, but we do not do cheap work or work cheap. Our shop labor rates are substantial as well they should be for Quality and knowledgeable work. We are able to save our customer's money because of our high production experience, our purchasing power, and by selling direct to the customer which eliminates the "middle man". Our customers can contact us anytime including after a purchase. They can be assured of getting satisfactory answers and the help they need or they can contact us by mail or email. We guarantee in writing to our customers the Quality, Dependability, and accuracy of our engines and other products. Call, fax, or email us today for information or to place your order. 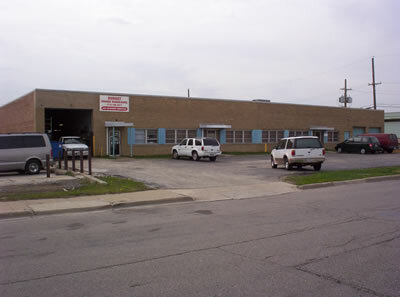 Chicago Engines (DBA) is owned and operated by Budget Engine Rebuilders of Chicago, Illinois. We're called "budget" because we want to fit into everyone's conscious buyer's "budget"!